Summary from Goodreads: Geek girl Elle Wittimer lives and breathes Starfield, the classic sci-fi series she grew up watching with her late father. So when she sees a cosplay contest for a new Starfield movie, she has to enter. The prize? An invitation to the ExcelsiCon Cosplay Ball, and a meet-and-greet with the actor slated to play Federation Prince Carmindor in the reboot. With savings from her gig at the Magic Pumpkin food truck (and her dad’s old costume), Elle’s determined to win…unless her stepsisters get there first. 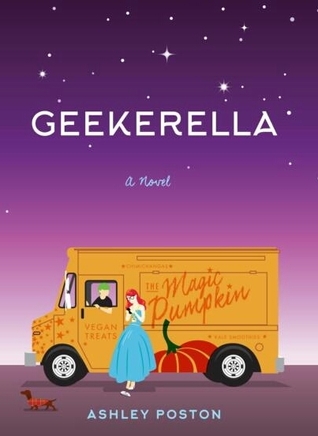 Geekerella by Ashley Poston was such an adorable sweet story. Honestly, I didn’t really know what to expect going into this one, but it ended up being amazing. I totally recommend this book to anybody, especially if you’re in the mood for a lighthearted, funny, sweet contemporary. This book is, obviously, a Cinderella retelling. Danielle’s “Elle” dad was one of the founders of a convention called ExcelsiCon and was a huge fan of a show called Starfield. Elle, like her father, is also a huge fan of the show. And now that it is being remade into a movie, one of her blog articles about the casting of Darien Freeman in the movie goes viral. Yet somehow, Elle and Darien start communicating when he texted her number, thinking it was her father. The two start texting about their love of the show regularly. Meanwhile, Darien is still getting a lot of criticism and Elle is preparing to go to ExcelsiCon for the first time since er father died to win the cosplaying contest. I loved both of the main characters. Elle is a total fangirl. She works at a vegan food truck called the Pumpkin and lives with her stepmother and stepsisters, who basically make her do all the work around the house. 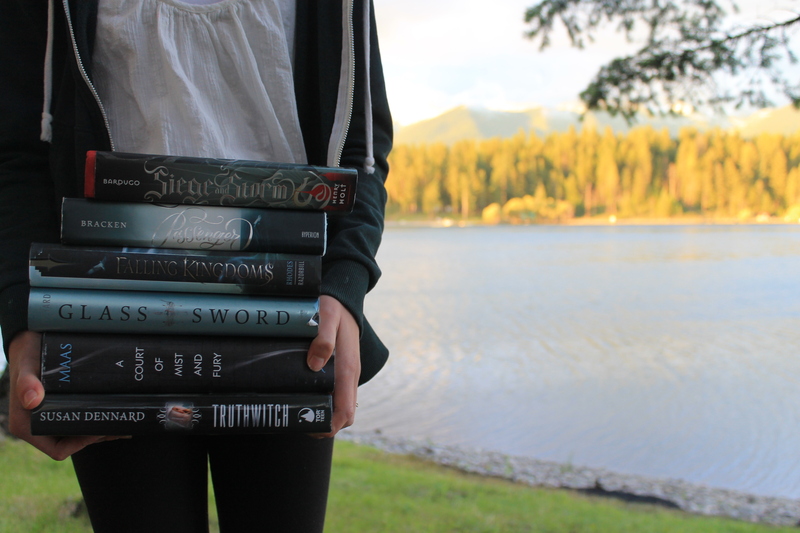 She also has a fandom blog that somehow, to her surprise, actually goes viral during the book. Darien is considered to pretty much be “teen royalty”. He’s become a huge Hollywood actor, yet has not been getting a lot of good press when it was announced he would be in the Starfield movie. His parents aren’t there for him (his mother left and his dad is his manager and doesn’t even treat him like a son). But Darien is also a total nerd and fanboy. Before he became a celebrity, he used to attend all the fan conventions as well, but is now the ones hosting meet and greets and panels. There were a bunch of awesome side characters I loved as well. The romance was adorable. I loved how the two of them met by means of text not knowing who they were, when in reality they both kind of hated each other. Then they met at the con and it was just so adorable and sweet. It wasn’t forced and it wasn’t insta-love either. I also loved the writing and all the nerdy references that were constantly being made. I really enjoyed reading from both theirs POVs and seeing their interpretations of each other and how everything was happening for them. Overall, I absolutely loved Geekerella. It was such a cute retelling and I loved the geeky/nerdy spin on Cinderella! I definitely recommend this book to anyone. A geeky spin on Cinderella sounds AMAZING.